Ever wanted to start your own transcription service? 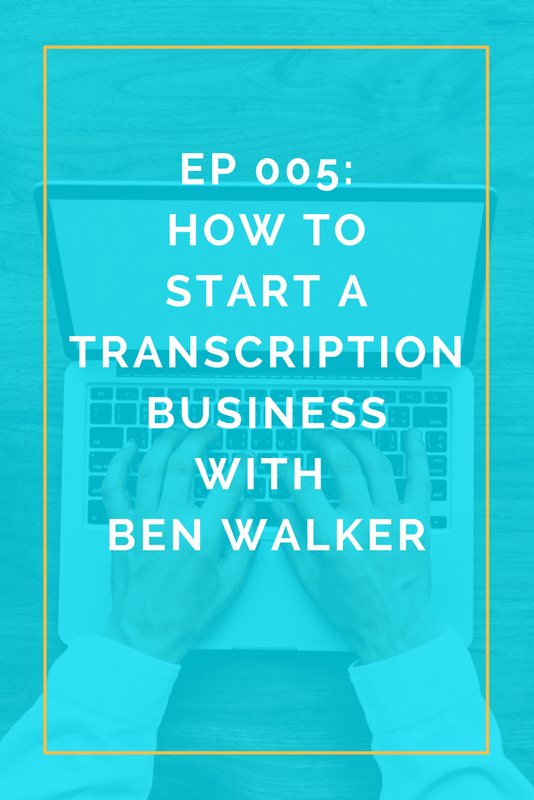 In this podcast episode, I'm talking to Ben Walker from Transcription Outsourcing. He started his own transcription service to help business convert video and audio files into written text. ALMA: All right, today we have Ben Walker, from TranscriptionOutsourcing.net. Ben started his transcription service business part time from home about eight years ago and now he does it full time. 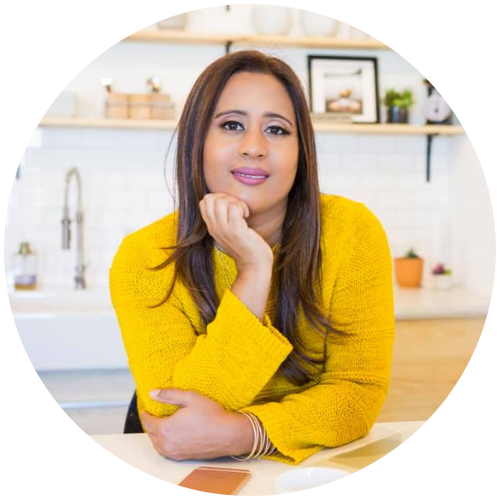 So, I’m really excited to talk about what transcription work entails and how small businesses can use it and especially how can online businesses use transcription services for their own content. So, welcome to the show, Ben. BEN: Thanks, Alma, it’s my pleasure and thanks for having me. ALMA: All right, thank you so much. All right, so I’m really excited to learn more about what you do and so, as I understand, Transcription Outsourcing, pretty much, as I understand it, people can just go to your website and order transcription for what type of content? Kind of tell us what you do exactly. How does transcription really help people? BEN: Alma, thanks for asking. We help a lot of different kinds of people and businesses. Right now we work with quite a few doctors, lawyers, law enforcement agencies, universities that do research, we’ve worked with authors in the past, we’ve helped transcribe recordings with people’s elderly parents or grandparents, so everything can be preserved. Sometimes they will overlay that on video. Anything you can record, if we can hear it, we can transcribe it. So, we’ve worked with quite a number of different kinds of businesses and people, but mainly medical transcription, legal transcription, law enforcement transcription, and academic transcription services. ALMA: Okay, that’s really interesting. So, how did you get into this industry? BEN: A little over 10 years ago, I was trying to break into the healthcare industry and because I didn’t have any experience doing pharmaceutical sales or medical device sales, I ended up buying into a medical transcription company that was forming in Omaha, where I’m from. So, I got into it by buying into it then through technological changes that were happening in the medical industry and healthcare, with everything being digitized -- Doctors now, a lot of them, point and click, and don’t dictate as much as they used to. So, when we were losing clients, I started researching other kinds of transcription and stumbled onto legal transcription and law enforcement transcription, and that’s when we started to diversify our offerings and then went into the legal law enforcement, and academic world that frankly I didn’t know existed when I started the medical transcription. ALMA: Okay, that’s great. So, tell us, were you working full time when you started your own business? How did you really start it? What was involved in actually jump starting this? Were there any special tools you had to invest in and how did you get your first clients? BEN: I was kind of working full time because I didn’t really know what I was doing. I didn’t have a full time job. Unfortunately, I was winging a lot of it, which probably isn’t the best way to start a company. I was lucky that I had some clients that I was able to take with me from the medical transcription company, but getting new clients in those other industries was difficult. So, it was a lot of experimentation to figure out what would work and eventually I found that email marketing was working. That’s how we got our first customer, believe it or not, eight years ago, was through email marketing. And it was not anything like today’s email marketing, with drip campaigns. I was literally sending emails individually through Outlook on my own, during the day and at night, hoping that that would be the first email they would see the next morning. It was a lot of experimentation. ALMA: Wow, so you were doing a lot of cold emailing to random businesses. Can you tell us about that process? I have a lot of people in my community who are interested in just reaching out to random businesses, how did you do that? How did you find people and how did you write the emails? What was that process like? That’s actually a fascinating method. BEN: It was trial and error for sure, in the beginning, to see what worked and what didn’t work. So, to start, to get their email addresses, I was looking up medical societies, legal societies, law enforcement organizations, and literally copying and pasting the board of directors or the advisory board. Anyone’s email addresses I could find on those websites, I was copying and pasting then using different versions of a very similar email. So, the first couple emails I sent out, I found out later were too long, because I had probably 10 sentences in there. What I found out worked the best were short and sweet, to the point, “This is what we do, this is how we can help you, let me know if you want to talk again,” and those worked much better than the in depth, “Why you should use us, how much we cost, why we’re better than our competitors.” No one cares about that. They want short snippets, direct information, don’t beat around the bush, don’t be deceiving. Those are the emails that I know I delete, I don’t know about you, but the ones that I’m not sure what they do or who they are, I just delete them. ALMA: Yeah, I agree with you. If I get long emails, I’m just like, “What is this junk in my inbox?” So, yeah, that makes sense. Okay, so that started to really help you and then that’s how you got a lot of your first clients, right? So, then how did you progress from there? BEN: We started responding to RFPs and RFQs and answering a bunch of normally government requests for information, requests for proposals, or requests for bids that you can find on a couple of different free sites. I’ve actually signed up for some RFP distribution networks that I pay monthly fees for. That’s kind of how we took it to the next level along with -- Let me take that back. That would be one way we took it to the next level. The other way was through search engine optimization and outreach by content creation and then having a public relations firm push our content out for us and getting us placed in the right articles or guest authoring at the right publications. So, it’s kind of a combination of RFPs, request for proposals, which are normally issued by government agencies, the ones that we respond to, and that’s for law enforcement transcription and legal transcription, then search engine optimization which can be a whole bunch of different facets. A lot of it was through article placement, guest blogging, or guest authoring pieces on things like Ink, Forbes, Entrepreneur, Upcoast (ph), then the PR company to push it out and get it recognized and viewed and shared. That’s how we progressed to where we are now. ALMA: Okay, so when you started out, did you start out with a partner or did you do -- Who did the transcription, was it you transcribing or did you outsource that? BEN: I actually outsourced it. I don’t do any of the transcription and I never have. ALMA: That’s actually really interesting that you started a business that you pretty much outsourced from day one and you pretty much -- I guess you’re managing it and just kind of being a project manager for it, right? BEN: In the beginning, that’s exactly what I did. So, I would take calls and emails from our clients that had issues or let’s say it was a surgery center in Colorado Springs that needed to add a new surgeon. I would log in to our workflow platform, which is a company, it’s a third party vendor for us that specializes in HIPAA and encrypted data transfer between doctors and transcription companies or transcriptionists. So, I don’t even own the platform that we work on. I would then add that surgeon as a new dictator and email his staff the login and password so that he could pick up a phone and call an 800 number and dictate pre-op or post-op reports. Then, as we grew, I hired an office assistant to help share the duties of taking phone calls, setting up new clients, deleting old clients, help writing our blog posts and writing our web content, and then once that got too busy for two of us, then I hired another one to help. Then we started splitting it up like one person does medical, one person does legal, one person does financial. As we grew, we made it more specialized. ALMA: Okay, so let me ask you, when you first started, did you have to finance it? A lot of people listening are interested in starting a business, a service business, and maybe like you, they don’t want to the work themselves and they want to just kind of be a manager of their own business. Did you have to get -- Was it a lot of upfront investment? Because we talk to a lot of people that do bootstrapping, where they’re pretty much funding their own business. So, how did you arrange that when you first started? BEN: I did a little of both, I borrowed money and I bootstrapped for sure, not paying myself for three or four months before. When unexpectedly we lose a client that paid us quite a bit of money every month, you just had to be prepared and ready for the ups and downs. It’s not easy but I did borrow money to start and I’ve borrowed a few times since. We haven’t had to recently, so that’s good. But, it does happen where things happen. You just can’t foresee it coming and it’s no fault of your own. You may lose a client or an employee might leave or you could get hacked, your data could get lost, there’s so many different things that could happen. You do need to be prepared for it, though. Now, eight years in, I anticipate losing 20-25 percent of my clients from the previous year, every year, because that’s happened in the past too many times to not take notice. So, I would definitely -- It’s worst case scenario, you’re going to lose 25 percent of your business from last year, and it will be through no fault of your own. ALMA: Yeah, so I guess -- How many clients do you service at a time, on a monthly basis? BEN: Routinely 45 to 50 and then we’ll have at least that many in one-off projects. BEN: People will find us online from all over the country, sometimes internationally, and they’ll send us anywhere from $200 worth of work to $20,000 worth of work. ALMA: Wow, interesting. So, do you have any type of monthly plan or do they just pay per project? BEN: They pay per project and if it’s a one-off that we’ll probably not work with them again, they pay up front. ALMA: Okay, so I’m looking at your website and it looks like you can go on there and just order transcription services, right? BEN: Yes, you can upload files to us on one of our pages very easily, by dragging and dropping files into a box. ALMA: So, I guess, how have you automated the process? Because one thing I like to do, even with my content marketing, is really try to automate it with packages, as much as I can. How do you do automation to kind of streamline the processes in your businesses? BEN: The platform that you can’t see here, that’s on our website, is the company that I was referring to earlier, it’s a third-party vendor that hosts data, they have an 800 number call-in service, iPhone app, and the ability to upload digital files through. So, what happens is we set you up with an account there, and it looks like you’re on our site, but it’s actually hosted by this company in Chicago. That automates -- So, there’s a lot of things that will go on in the background. You choose a turnaround time and you choose what kind of file it is. Let’s say you’re a law enforcement agency and it’s a search warrant, you can click ‘search warrant,’ or if it’s an investigative report, you can click, ‘investigative report,’ or if it’s a patrol report, you can click, ‘patrol report,’ so that way our people know what kind of report they’re going to be typing and it will come up on the screen for them, because a search warrant looks very different than a patrol report or an interview with a suspect. They’re all very different forms and formats. So, it’s automated from our side but the client doesn’t necessarily see that or know about it. ALMA: Okay, so what you do is you use a platform that another company has and you are able to brand the platform and put your colors and logo, so it looks like it’s just yours, but it’s actually a platform that’s been built by another company, right? BEN: Yes, that’s correct, and I guess that can go back to bootstrapping because building a platform like this costs a significant amount of money. And we’re actually working on one now with a developing firm in Manhattan but that’s beside the point. We want to have our own, it’s going to be different than the one that we’re using now in Chicago but things like that, that you can use that you don’t have to build on your own, save you significant money up front. Because we’ve done this with a number of different things like we use QuickBooks, we use Box.com for large file transfers, because Box can take files up to 5 GB and sometimes some of our clients will send us very large video files. We use Gusto for payroll, we use Hubstaff for our people who are scattered all over the country for timekeeping purposes. There’s a bunch of services out there that will minimize your initial investment, so you don’t have to have your own. Sure, you can have your own built but what if you’re company doesn’t work out and then you’ve put half a million or a million dollars into some workflow platform that no one wants. ALMA: Yeah, I mean, that’s really great that you brought that up, Ben, because you’re right, when you’re first starting out you don’t want to invest thousands of dollars in a platform. You don’t know what’s going to happen. So, that’s really great that you use another platform and now you’re building yours and then I think that being that you know what type of features you want, you can be clear about what you want platform to have and not have, right? So, that’s awesome. BEN: Yeah, that’s exactly right. Now, we know what works for us and what doesn’t and we also have input from a lot of independent contractors that work for us. “This is what I like about the platform, this is what I don’t like. If I could build my own, this is what I would include, this is what I would take out. This will make workflow go faster,” because there’s a lot of if then, then this, and if then, then that behind the scenes. If you choose four hour turnaround time and it’s a search warrant, it’s going to go to a different pool of transcriptionists than if it was a 24 hour turnaround time and it was a witness interview. So, that’s what’s behind the scenes in the automation point that the client doesn’t necessarily even known exists, but we do. ALMA: Right, that’s awesome. So, I have another question. So, regarding the people that do the transcription for you, do you have a team of people? How did you build up a team that you -- Obviously, you have a team now, but how did you build that out? BEN: We save almost every employment inquiry we get and it’s actually put into a spreadsheet and we test everyone. If they pass the test with a 95 percent or better, we keep them in one category; if they don’t score a 95, we keep them in another category. If we need them immediately, we’ll start them on smaller projects and someone, a full-time employee with Transcription Outsourcing will do the necessary work to make sure that their work product is good for anywhere from two to four weeks, to make sure they have everything down and they’re doing it right, then we let them loose and let them work on our clients’ work and we don’t necessarily check all of their work going forward because there’s too much to be checked. ALMA: So, basically, I guess, you put your new team members through a process to make sure they’re good at what they do. And so, is everyone full-time or do you also have part-time people? BEN: We have people that make $250 a month as independent contractors, we have others that make $5000 a month as independent contractors and then we do have some full-time employees but the bulk of our work is done by independent contractors and freelancers. ALMA: Oh, okay, that’s great. That’s awesome. Okay, how do you even find these contractors? BEN: We advertise on a couple of different transcription boards where we know a lot of people go that are in different kinds of transcription. We also go to places like Work at Home, the Moms Who Work at Home, freelancer websites where we know transcriptionists are and we’ll put up posts there or ads there. ALMA: That’s awesome. So tell me, going forward, what are your plans for marketing? How do you plan to grow? I know you said you do content marketing and SEO and you just do a lot of guest blogging, what is your strategy going forward, for the rest of the year or the next 12 months? BEN: It’s going to include more content marketing in a little bit different form. We’re going for bigger content, 1500 to 2,000 words. We’re going to continue to do podcasting to get in front of the right audiences. So, of we want to work with government agencies, we’re going to be on government podcasts and the same for law enforcement and legal and academic. We’re also going to continue the search engine optimization and that’s always a thing that’s developing because Google makes changes and does new things about every quarter. So, we have to stay on top of that. That’s how a lot of people find us now, including our independent contractors; they’ll Google it and we show up and they come to our website and fill out the form, either an independent contractor or a prospect, from all over the country, and all over the world, for that matter. ALMA: So, you rely really -- You’re planning to rely more heavily on content marketing, blogging SEO. That’s great. ALMA: Do you -- So, a lot of your website traffic is coming from that method of marketing, right? BEN: Yeah, majority is probably SEO, 90 percent. ALMA: That’s awesome. So, what do you do now, do you mainly just do transcription outsourcing? BEN: Yes, that’s all we provide right now are transcription services. Once in a while, we’ll do Spanish translation but it’s rare. ALMA: Awesome, great. Go ahead. BEN: I’m sorry Alma, I forgot to mention that we do copy typing, which is a really old -- I shouldn’t say old but it’s been around since the ‘20s, where someone will send us either handwritten or let’s say a PDF or a picture of a document and we will retype it into a Word document and email it to them. BEN: Yeah, we’ve actually done a little bit of it this week, some last week. We’ve had requests for copy typing 2500 pages of an owner’s manual. ALMA: Oh my gosh, wow. BEN: Yeah, all kinds of strange requests. Historical documents, they want retyped, books that they can’t find a digital copy anywhere online, these are rare books that I’ve never even heard of that people want retyped. It’s been all over the board. ALMA: That’s great. So, now that you’ve kind of scaled your business, what do you spend your time doing, mainly? Obviously it seems like you do a lot of content and promotion, but what do you do typically as the manager of your business? Because you’ve taken yourself out of the business and now you’re managing it. BEN: It’s a lot of working on outreach, which in turn creates business development. So, like today at lunch, I was editing a pretty long blog that we’re going to eventually have up on our blog and then we’ll push out to our PR company. Yeah, I do things like that almost every day at lunch. It almost always revolves around outreach of some kind. So, I’ll reach out to law firms, law enforcement agencies, government agencies, podcasters, and ask them if they need our assistance, if I can be on their podcast, if I can get a meeting with them, “We work with another government agency down the hall from you or across the street from you, we work with law enforcement agencies in your state,” things like that. It’s almost all having to do with outreach of some kind to then get us more business. ALMA: That’s great. So, what do you -- Do you ever read any type of motivational books or do you have any recommendations of content that has really helped you as a business owner? BEN: I’ve read quite a few different books by other people that have been successful. That’s kind of what I like and respect. If they’ve been there before, they usually have something I can learn from. You can take advice from anyone but I think it’s probably better if you take it from someone who’s been there, done that, and they’ve walked the walk. Tony Robbins has some good stuff that’s more self-help type. It’s not for everyone and you can’t -- If you learn one or two things from each book that’s pretty good, and I’m sure everyone could learn something from one of his books, and he’s got a number of them, obviously. He’s been around since the ‘80s. Unlimited Power by him is good, I also like Ego is the Enemy, it will kind of put you in your place. It’s kind of hard to explain but it’s a good book by Ryan Holiday. Good to Great is another really good book and Built to Last. Man, there’s Principles by Ray Dalio. It’s also another good book. He’s a hedge fund guy in New York and he’s been around also since the ‘80s and very good at his job. ALMA: Yeah, that’s okay, you could just -- That was really good, the people you mentioned. So, all right, just to close it up a little bit, let us know what tips do you have for new entrepreneurs, people who want to start a freelance business, kind of like what you’re doing, offering some type of service. What advice would you give someone starting out that you wish you would have known when you first started? BEN: How important public relations is. If people don’t know you exist, they can’t buy your service. I wish I’d known public relations was so important eight years ago. I thought I could just put up a website, go to conferences, buy a booth, hand out notepads and pens and squishy balls. That stuff doesn’t work anymore. Public relations is king now. ALMA: All right. So Ben, thank you so much for talking with me today and just so glad to have you on the show. BEN: Thank you, Alma. It was fun. ALMA: All right, take care, bye-bye.